In an interview earlier this week, SoftBank CEO Masayoshi Son said he scored exclusive Japanese rights to sell the first iPhone after pitching a crude drawing of an imagined iPod-cellphone hybrid to Steve Jobs. At the time, Son did not own a mobile carrier and the already-in-development iPhone was still two years out. 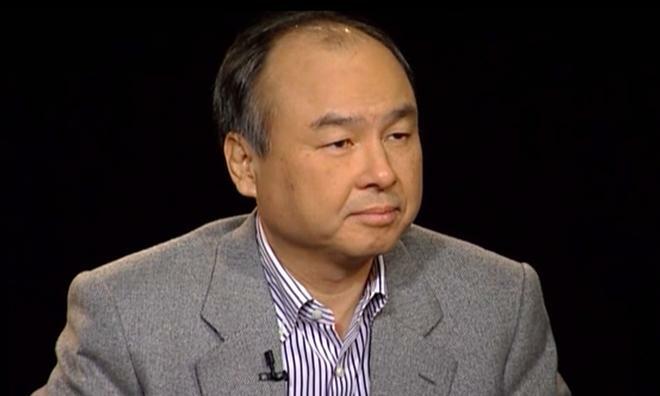 During a half-hour segment, Son sat down with Charlie Rose on Monday and offered background on Apple's initially exclusive iPhone partnership with SoftBank. According to Son, the meeting with Job]s came as he was planning to enter the mobile phone business. Before jumping in, he first wanted a weapon to wield against Japan's undisputed No. 1 carrier NTT DoCoMo and went to Apple with an idea for a handset. "I brought my little drawing of [an] iPod with mobile capabilities," Son said. "I gave [Jobs] my drawing, and Steve says, 'Masa, you don't give me your drawing. I have my own," Son said. "I said, 'Well, I don't need to give you my dirty paper, but once you have your product, give me for Japan.' He said, 'Well, Masa, you are crazy. We have not talked to anybody, but you came to see me as the first guy. I give to you.'" Before leaving, Son proposed that Jobs put down the exclusivity agreement in writing, but at that point the iPhone project was still a secret. Jobs also reminded Son that he did not yet own a mobile phone carrier in Japan. "I said, 'Look, Steve, you gave me your word, I bring a carrier for Japan.' And I did," Son said. SoftBank would later go on to buy out and rename Vodafone Japan's network in late 2006. The Japanese telecom giant now owns U.S. carrier Sprint, as well as stakes in some 1,000 companies including Yahoo! Japan and Alibaba. As for Apple's iPhone, the handset has gone on to become one of Japan's top-selling mobile devices. In October of 2013, one study found 66 percent of former NTT DoCoMo subscribers jumped ship to a carrier that sold Apple's device. Even when the country's largest operator was granted access to the device, the company blamed its worst-ever quarterly subscriber loss to limited iPhone stock. Son is in the U.S. to meet with Chamber of Commerce in Washington, D.C. to discuss the importance of next-generation mobile Internet trends. It is also likely that there will be discussions regarding Son's interest in T-Mobile takeover by Sprint, which would give him a controlling interest of two of the top-four wireless carriers in America.